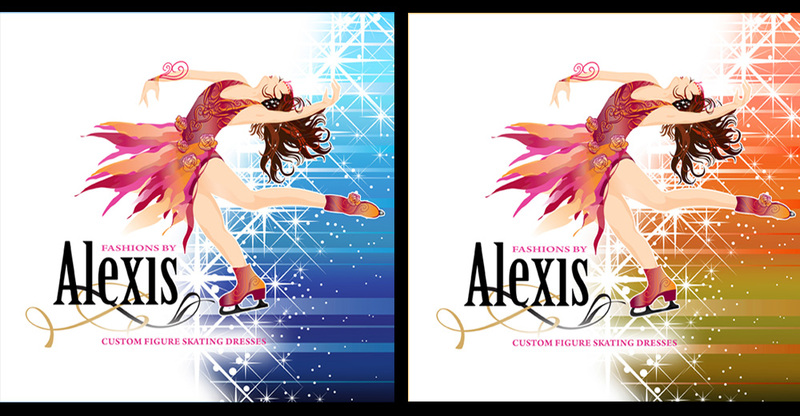 Alexis Custom Figure Skating Dresses creates high quality, custom designed, competition, figure skating dresses and costumes for children to mid-teenagers. 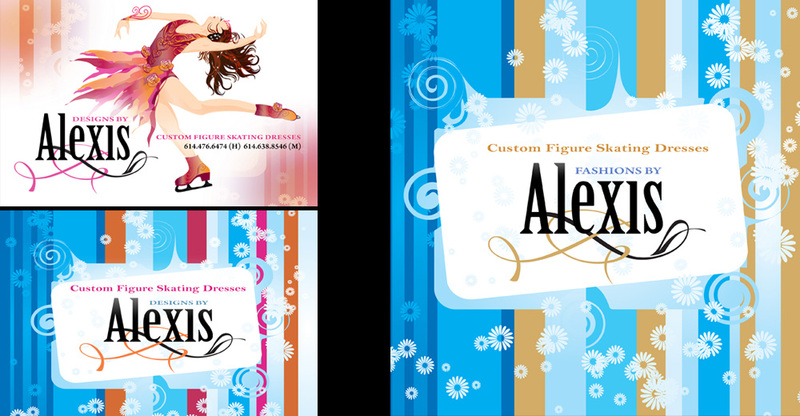 Create business collateral for a small Ohio start-up company, providing custom designed figure skating dresses and costumes. As my client was 12 years old, marketing materials created were bright and colorful, lively and fashion-forward, so as to attract the children to mid-teen target market. A logo design was created to reflect elegance, style and sophistication (as figure skating tends to be an upper-class sport). The text logo by itself could be used for adult, teenage and child products depending on what, where and in conjunction to that with which it is placed.... 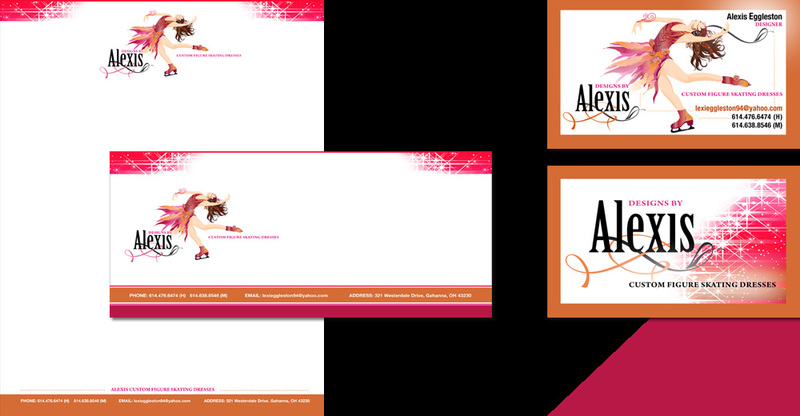 Thus the client could carry move her logo from childhood to adulthood with ease. For the purpose of her figure skating dress line, the logo is placed on bright colorful, patterned and lively backgrounds, so as to attract the children to mid-teen target market. Corporate Branding package comprising: Business Stationery (Letterhead, Envelope, Label and Business Card) were put together. Marketing Materials comprised packaging / box top labels and an invitation.